This is the full text of CSL's 01/08/2018 press release. 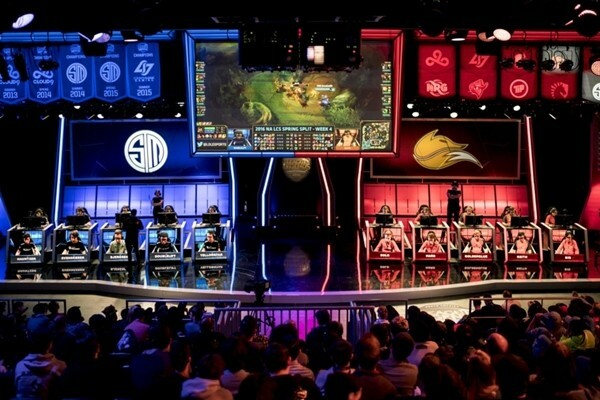 Esports have spilled into the collegiate sphere. Across the North American continent, new varsity programs are appearing at an increasing pace, offering financial assistance to gamers in a variety of esports such as League of Legends, Rocket League, and Overwatch. In 2017, the University of Utah became the first Power 5 school to announce a varsity program for a variety of esports, while the Big Ten Network put together the first Power 5 conference League of Legends league with a National Championship stake in play. 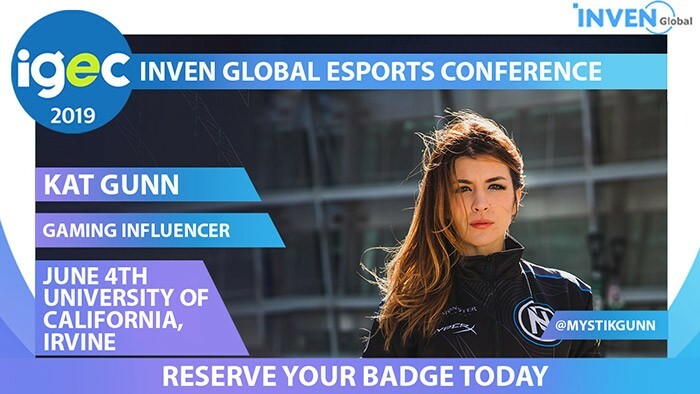 This illustrated that bigger players are starting to get interested in the collegiate esports ecosystem, a huge victory for proponents of the collegiate games’ respective places in esports culture. WE, AS A PART OF THE ESPORTS ECOSYSTEM, ARE STILL ONLY A TENTH OF THE WAY DOWN OUR PATH TO ACHIEVING MORE CONCRETE AND STABLE SPECTATOR SPORTS. WE MUST ASK, THEREFORE, FROM WHENCE THAT 90% COMES AND HOW WE ACHIEVE IT. However, as with all things, this process comes with a bevy of unanswered questions. The place of collegiate esports remains unclear, due partially to the particular nature of different games, but also to the nebulous connection between the collegiate and professional levels of spectator sports whose players are believed to reach their technical peak around the same time they are graduating from high school, if not earlier. 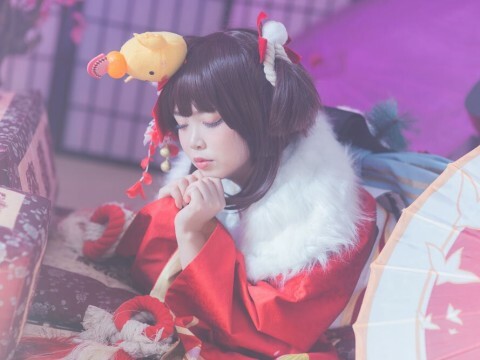 Therefore, it is necessary that we interrogate the emerging niche for scholarship programs in the larger esports space, as the coalescing relative positions of the collegiate and professional games remain the biggest determining factors in the future of varsity collegiate esports. The sad truth is that the scholarship programs currently in existence are a long way from standing on even ground with the comprehensive, full ride scholarships of traditional athletics. The reason for this is that collegiate esports have not yet attained their own particular niche in the ecosystems of the various esports of North America. In particular, the lack of a collegiate draft for new professional players means that collegiate esports exist in a sort of limbo, where players are leaving their mechanical peaks behind, and eligibility requirements allow younger, more technically skilled players to join the professional ranks without even graduating high school. Until a niche coalesces, the collegiate scene will remain largely filled with partial financial aid for esports players in a continent where the cost of education continues to reach increasingly prohibitive heights. The surge in varsity programs is a positive step, but we currently have quite a ways still to go before reaching stable and profitable collegiate esports. 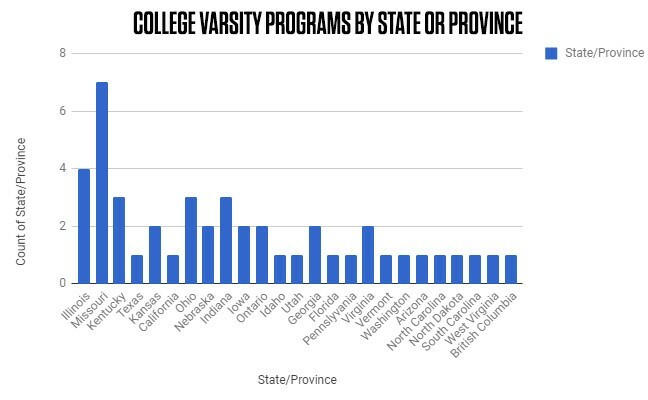 Before we tackle the place of programs within the larger framework of spectator sport, it makes sense to break down exactly where collegiate varsity programs stand currently. Geographically and methodologically, the various programs in North America are actually not particularly diverse, which leads me to believe that we are really still grappling with the very beginning of a larger phenomenon that we may not see fully bloom until several years down the line. As of today, the biggest players in the push for a collegiate esports environment that closely mirrors that of more visible North American collegiate sports like football are in the midwestern United States. Out of the forty-seven programs that I counted during the research for this piece, twenty-four of them are in the Midwest, according to the U.S. Census Bureau’s categorization of that region. 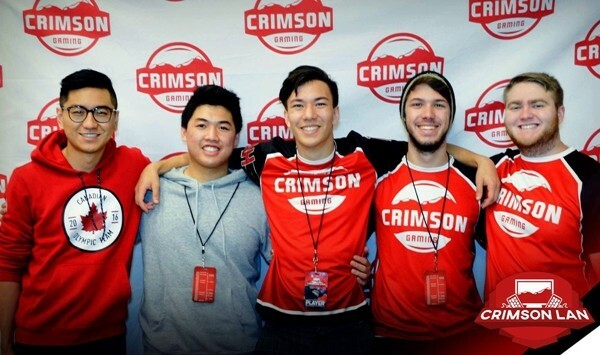 Seven come from the state of Missouri alone, a state that has already produced top tier competitors like National Champion Maryville and fast risers like Columbia College, and four come from Illinois, the first state to have a collegiate varsity program for esports. Meanwhile, on the other end of the spectrum, the entire country of Canada has but three varsity programs, currently cementing the surge in varsity level support as a firmly American phenomenon. Perhaps the next most essential of those phases is the scholarships themselves. As spectator sports, esports are more player-driven than even the most visible traditional sports. However, the idea of a full-ride scholarship for an esports player remains a nebulous feature of a somewhat uncertain and obfuscated future. Currently, while universities that announce new varsity programs continue to pitch their role in creating well-rounded undergraduate students - a callback to some of the original rationale for collegiate athletics, according to scholars like anthropologist Noel Dyck - most universities are awarding a sort of “Franken-aid” package to their esports players. This is to say that the financial assistance that many players receive is an amalgamation of several different financial aid opportunities, rather than one athletic scholarship. 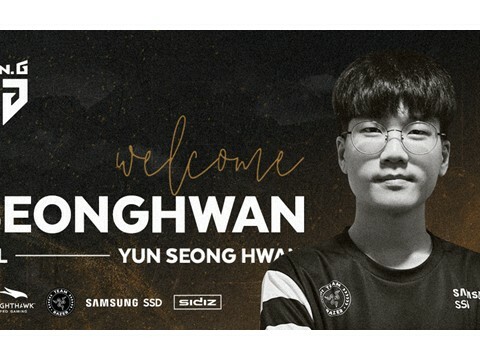 Maryville Assistant Director of Esports Lam Kenneth Wai Ting stated that MU’s players are given a base package of $2,000 that is supplemented by a scaling amount of aid based on player skill. He declined to go into detail on the exact way that the scaling aid worked, as it has changed frequently and remains a work in progress. Composite aid packages like this are similar to those at Columbia College (MO), where Senior Strategic Analyst Drake Porter confirmed that their players receive a scholarship based on skill as well as the opportunity to apply for several other academic aid awards - a program that Director of e-Sports Bryan Curtis explained two years ago. 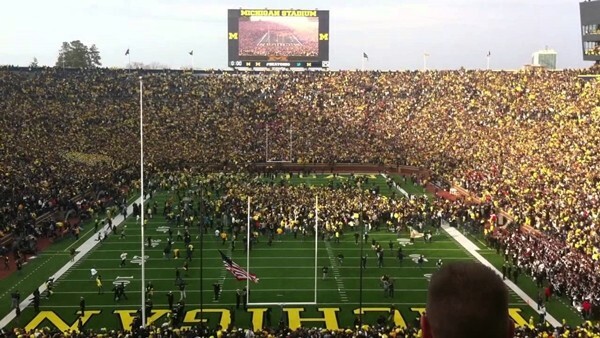 ▲ THE UNIVERSITY OF MICHIGAN'S MICHIGAN STADIUM, AKA THE BIG HOUSE. HOPEFULLY COLLEGIATE ESPORTS CAN ONE DAY HAVE SUCH A FOLLOWING. While the existence of scholarships themselves is a necessary step on the road to bringing esports into complete cultural acceptance, it should be noted that the average tuition for both CC and MU sits around $25,000, meaning that the base values of these financial aid packages, if we use MU’s model as our base, only make a definite 10% impact on the financial burden of attending these institutions. This figure helps to put the overall waterline of the collegiate scene into perspective. Outside of very successful programs with meaningful tournament victories and independent sources of income, many of which the NCAA would likely frown upon in its enforcement of amateurism, we, as a part of the esports ecosystem, are still only a tenth of the way down our path to achieving more concrete and stable spectator sports. We must ask, therefore, from whence that 90% comes and how we achieve it. With the amount of work that has gone into just reaching the point in collegiate esports where we have scholarships, the idea that this part of the spectator sport ecosystem is only 10% matured can be very intimidating and frustrating. In order to chip away at the remaining 90%, collegiate esports needs to find a niche in the larger ecosystem, but that has proven extremely challenging thus far, and the role of collegiate esports remains vague in all games with professional scenes. The key to understanding the nebulous role of collegiate esports in the larger ecosystem lies in one distinct feature of most traditional sports that only exists in a limited capacity in professional video gaming: the draft. 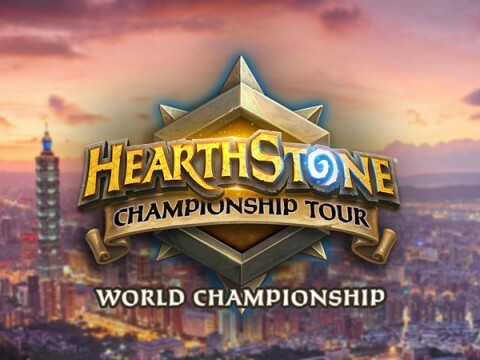 Certainly, the assertion that traditional sports have drafts and esports generally don’t is not necessarily a compelling one because spectator sport is so much more complicated than that. When wondering we are not progressing faster, I’ve had to remind myself that the answer often lies in the bigger esports picture, where the distinct professional scenes and disparate nature of particular spectator sports throws all uniformity to the wind. This should not, however, come as a surprise. Traditional sports are hardly any more united beyond team owners like Stan Kroenke, who owns sport teams in four major American sporting leagues. Therefore, we have to take into account the place of college sports and their professional counterparts as they revolve around the drafting process so that we can see why collegiate esports are having trouble finding a more defined role. The best starting point for this examination is in the incentives at play in a spectator sport ecosystem. For players, the main incentive is making it to the professional level, an incentive that is certainly not universal, and probably less pronounced in esports, but definitely exists as a driving factor behind physical mobility when selecting a university. 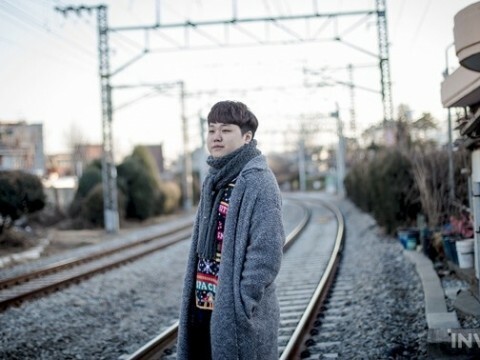 The draw of becoming a professional gamer, which Jin Dal Yong discussed at length in Korea’s Online Gaming Empire (2010), is tied to both financial and subjective character factors, like competitiveness, and has repeatedly proven tantalizing and powerful. It functions much the same way traditional sports do in the career choices of those talented few capable of making the journey. If a big enough salary waits at the end of the rainbow, interested individuals will endure hell and high water to get there. For schools, the main incentive is monetary. A school with a reputable program, athletic or academic, draws interested individuals from across the globe, as outlined in Noel Dyck’s “In Pursuit of the "Full Ride": American Athletic Scholarships and Mobility, Sport and Childhood in Canada” (2011). Dyck wrote that North American athletic scholarships had a profoundly global effect. “My concern here is to elucidate how a set of prosaic organizational measures devised for use within one national sports setting can inadvertently, but nonetheless deeply, inflect the organization of child and youth sports in another country” (Dyck 54), he wrote in his introduction. 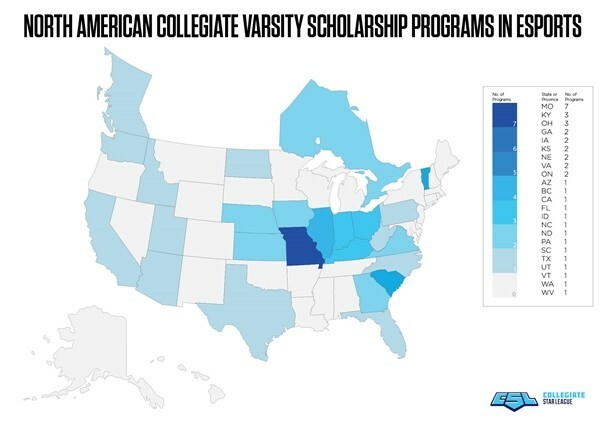 The effect that he discussed in the article was that Canadian youth interested in pursuing collegiate athletics overwhelmingly favored American schools due to the scholarship ecosystem. This, in turn, affected the general mobility of the college-age Canadian population, as well as the structure of sport programs at all levels in that country. Such programs change the incentives that act on college hopefuls, and reputations that are enhanced by scholarship incentives translate to increased enrollment, which the school then uses to maintain and improve its various faculties. 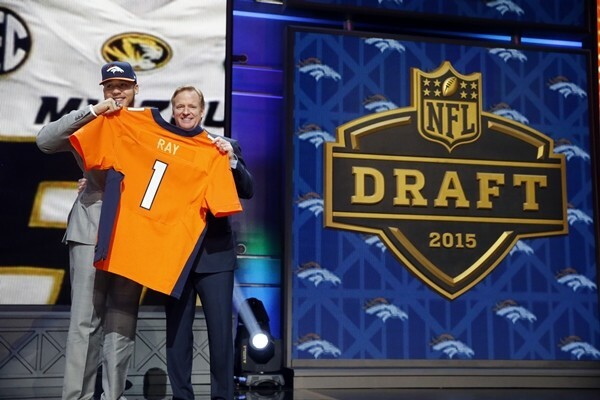 For professional teams, the incentive is once again financial, mixed the competitive pride. While many team owners get into the venture seeking to create a winner that will uphold their legacy for posterity, there is simultaneous pressure to create a quality product, though this is dependent on the level of mental ownership the team owner takes over his work. Further, good products make good money, and that, in turn, almost never gets turned down. The main difference between traditional sports and esports is not the entities involved, nor is it the incentives. Rather, it is the ways in which the three parties are connected, which is to say that they aren’t in esports - at least, not substantially. The main missing link here is the drafting process for new players, which occurs in each of the United States’ major sport leagues (NFL, NBA, MLB, and NHL) as an addition to the more familiar free agency process. While certainly, the LCS has a draft for the NA Scouting Grounds, the process itself remains distinct because of the existence of quantifiable rank leaderboards and potentially destructive views on age and competition that exist in gaming that are not universally present in traditional sports. The first problem is that, for all intents and purposes, professional esports leagues have never needed a draft. The entire draft process condenses the highly diverse emergent talents from outside of the professional leagues in traditional sports and allows teams to acquire the rights to sign those players without having to get into a massive bidding war with their peers. It also prevents small market teams and less successful teams from being simply outbid by perennial championship contenders. The order of the draft inversely reflects team success in the past season, making it a powerful tool for parity as well. In drafts, the emergent talents from the collegiate, international, and, in some sports, high school ranks register with the league for the drafting process, effectively creating a shortlist for teams to consult during their scouting process. However, in esports like League of Legends, Rocket League, or Overwatch, ranked leaderboards not only build the shortlist automatically, the online integration of multiplayer gaming means that one of the looming unknowns of traditional sport scouting - whether or not the prospect in question has played against good enough opponents to provide a real litmus test for his or her ability to play at the next level - does not need to be asked, as Grand Champions will, in theory, be queued against other Grand Champion or Champion rank players. Therefore, not only do ranked leaderboards create a shortlist autonomously, they trim the shortlist substantially. This means that part of the draft’s function, creating a shortlist that allows teams to more effectively scout upcoming players, is already seen to in esports. The other factor that has historically worked against drafts is the structure of the various esports leagues, which has changed the way that incentivization works for team owners. Traditionally, the limitations of sponsorship-based team economies has meant that the incentive to win in esports has traditionally been more powerful than the incentive to pursue what I call the “Youth Movement” philosophy. According to the Youth Movement philosophy, most traditional sport teams continuously attempt to get younger and fresher at all positions because younger players are generally closer to their athletic peak, less fragile, and less expensive than their veteran counterparts - the last factor stemming from their status as relatively unknown quantities compared to more established stars - though they may lack many of the assets that come with age and experience, such as leadership or solid work/study habits. This is most evident in the NFL, where teams are constantly jettisoning older players in favor of younger ones at a variety of positions. This philosophy has not, as of yet, made sustained headway in the most visible esports, however. 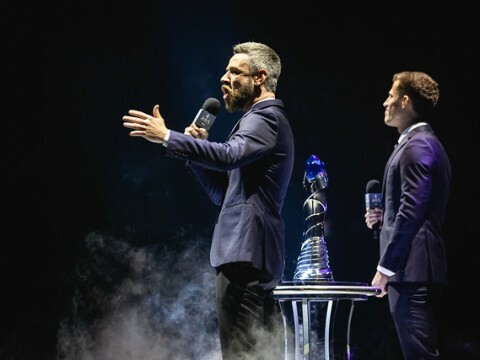 In League of Legends, the world’s most commonly recognized esport, the majority of the world still operates under a relegation-based league system, as does Rocket League’s RLCS. Franchised league models that more closely mirror the North American big four sport leagues are only just beginning in North America and China in LoL and globally in Overwatch. In esports like CS:GO and Dota 2, the structure of overall competition mostly still remains a tournament circuit, which more closely resembles golf or tennis and is not conducive to institutions like drafts as they rely on a more centralized league structure. These league structures have traditionally lent themselves more readily to a free-for-all free agency system of recruitment over a formal drafting process because it is less logistically taxing on whatever league administration oversees a given league when the selection of teams is constantly changing. 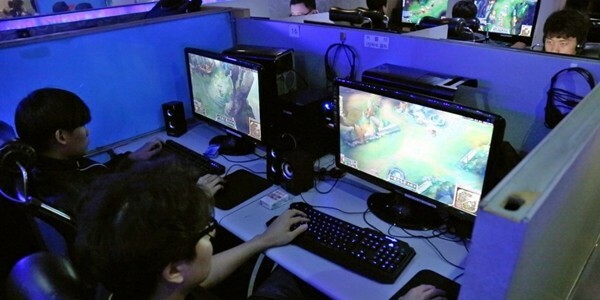 IN ESPORTS LEAGUES LIKE THE LEAGUE OF LEGENDS CHAMPIONSHIP SERIES OR TURNER E-LEAGUE, HOWEVER, THE ONLY REQUIREMENTS STATE THAT PLAYERS MUST BE AT LEAST 17 YEARS OF AGE, WHICH OPENS THE DOOR FOR HIGH SCHOOL DROPOUTS PLAYING PROFESSIONALLY. 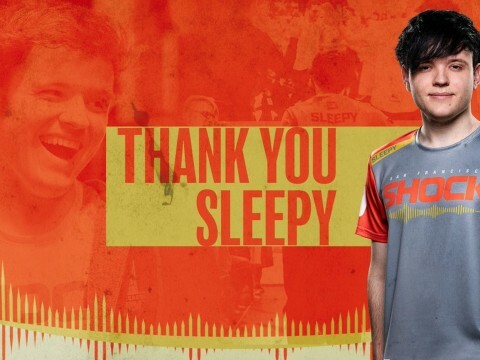 The Youth Movement philosophy may yet come more firmly into play in Overwatch and League of Legends, but the existence of a relegation system fundamentally changes the incentives acting on team personnel departments, such as they exist currently in esports. Over the past near-decade, North American League of Legends teams are particularly infamous for importing or recycling talent rather than taking on project players and aiming to develop them into future stars precisely because the threat of relegation made it economically inefficient to do otherwise. 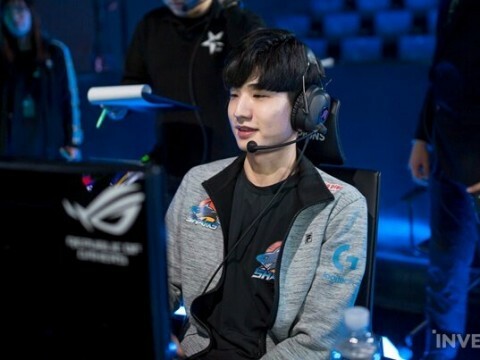 However, with the adoption of franchising in North American and Chinese LoL and in the Overwatch League, it is quite plausible that the Youth Movement philosophy becomes a staple of those esports. For other games that are more decentralized, such as Dota 2, CS:GO, Madden, or PUBG, the idea of a draft remains utterly foreign, and therefore the mechanism that makes transitions from collegiate play to professional play most conveniently does not exist. Beyond structural and philosophical factors, collegiate esports also must contend with very different attitudes toward age from those in traditional sports. In other words, the centrality of the draft in traditional sports has had a tangible effect on the way that player eligibility works. In each of the big four U.S. professional sport leagues, there are particular eligibility requirements for prospects entering the draft. Each of them requires the completion of a high school education as the bare minimum, while the NBA requires that players be at least 19 before entering the draft and the NFL requires that they be out of high school at least three years before becoming eligible. In esports leagues like the League of Legends Championship Series or Turner E-League, however, the only requirements state that players must be at least 17 years of age, which opens the door for high school dropouts playing professionally. While this might not initially appear to have any effect on the way drafts work, it does marginalize the collegiate games. While in traditional sports, good work habits, veteran leadership, and dedication to game study often receive rapidly increasing weight as players age, but in esports, the weight of decreasing mechanical skill as players reach their early twenties is attributed much greater weight than the gains made in traits associated with veterancy. Players are believed to be at their mechanical peak in their late teens, and by the time most are in their mid-collegiate years, they are already viewed as having left their best mechanical days behind them. This is most evident in games like Rocket League, where a huge number of professional players are not even at the age of majority yet. 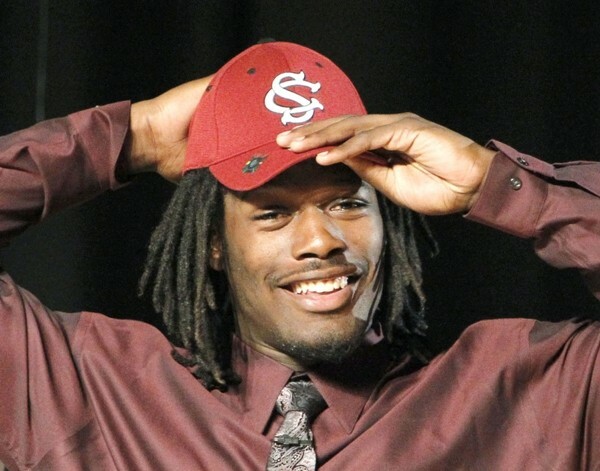 With no mechanisms requiring players to graduate from high school, and a generally negative view of the mechanical ability of college-age players, there is no clear place for universities in the player signing process beyond the coincidental. So, in the current esports environment, where are the best chances for collegiate programs to chip away at the 90%? While the options for a strong collegiate esports niche on the road to pro are very limited at the moment, the best answer seems to lie with the North American League of Legends Championship Series, or NALCS. Geographically, the NALCS occupies a space that is familiar with the draft model adopted by the Big Four, has adopted a franchise league model that lends itself to incentivization that favors a Youth Movement philosophy, and has already been involved in some transactions that have taken collegiate players to the pros. 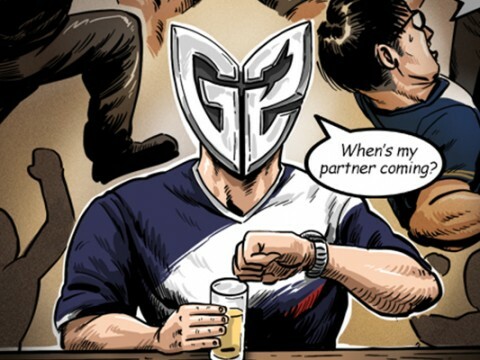 In speaking to geography, the NALCS’s North American location make it an ideal candidate because it is not necessarily massively global in the way that the Overwatch League is, and NA is also a region that is very, very familiar with the viewership powerhouse that is college football and the annual tradition of March Madness. This means that, culturally, it is a league that comes from a population that recognizes the viewability and profitability of collegiate spectator sports, as well as their potential as factories for grooming raw talent. 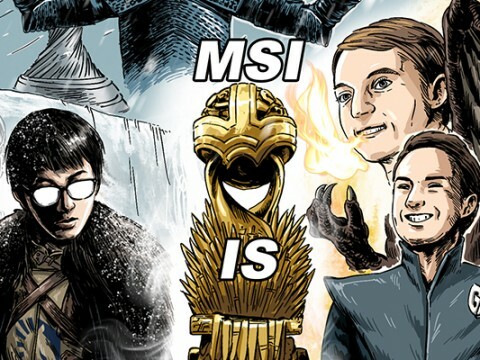 The most important first step in the process of carving the collegiate niche is finding people willing to give collegiate players a chance, and the NALCS theoretically provides just such a group, especially with the formal entrance of team owners from traditional sport organizations. Secondly, the new look NALCS mostly eliminates the relegation problem that many esports team owners, especially in League, still face (I say “mostly” because if an NALCS team finishes in 9th or 10th place five times in four years, they will be eliminated from the league). This creates a natural incentive for teams to adopt a Youth Movement philosophy and develop talent on a larger scale than previously existed in most LoL leagues. The addition of team-tied Academy teams, whose sole purpose is to train depth players at a lower stakes level of play, opened additional, formal opportunities for players hoping to go pro, and a number of former collegiate stars have already secured spots on such teams, such as Shady, Bobqinxd, and others. Ultimately, a great deal will ride on these players making successful transitions from the Academy to the LCS in order for the collegiate games to make a concrete case for their value to the professional level. ONLY BY FINDING A WAY TO FORMALIZE THE COLLEGIATE LEVEL’S ROLE IN MULTIPLE ESPORTS WILL WE SEE A PROLIFERATION OF BETTER AID PACKAGES IN A WIDER VARIETY OF GAMES. This landscape means that the most likely niche that will emerge for collegiate play is at a tertiary level, below the Academy. While the issue of age-based mechanical decay will continue to haunt the collegiate game, it is plausible that top tier collegiate players would end up getting signed by Academy teams mid-collegiate career. This would fall roughly in line with the scouting philosophy of many NBA prospects and teams, where the “one-and-done” college player is a common sight, especially at top tier programs like the University of Kentucky. 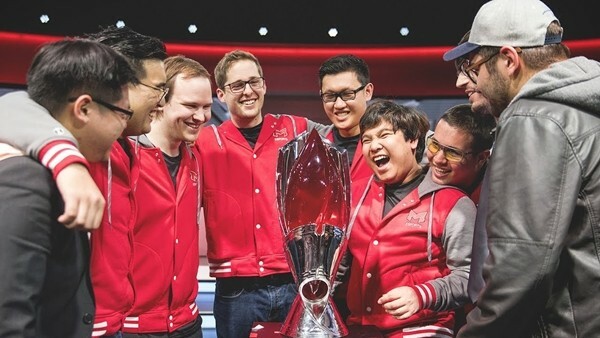 An increase in movement from the collegiate ranks to the Academy also has potential to improve North American League of Legends as a whole, because the increased mobility of collegiate players would force varsity programs to expand their search for players, therefore affording more of NA’s player base a chance at more formal competition. A more formal path, possibly in this mold would allow North American varsity programs to continue to chip away at the 90%. Formality brings a necessary surety that will pave the way for more financial aid, thereby offering the opportunity to help lower some of the financial barriers that stand between portions of the American population and a chance to play an esport competitively. Admittedly, this is a very long term view of the possibilities that await in a murky esports future. However, placing stress on finding a more formal niche for collegiate esports in the larger ecosystem is necessary to a more stable future. The proliferation of scholarship programs in North America is a huge first step toward such a future, but we need to figure out how to fit them into the larger picture before they can become more effective at meeting the needs of all parties involved. 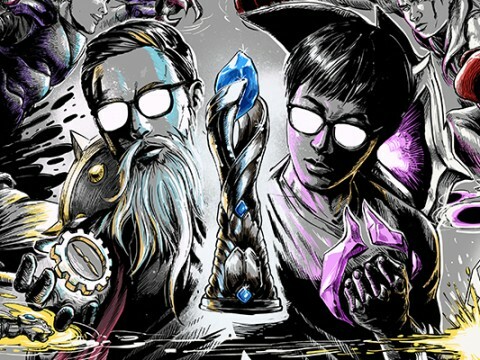 Currently, the NALCS hints at the possibility for such a role in one game, but the place of collegiate esports in other leagues remains nebulous. Only by finding a way to formalize the collegiate level’s role in multiple esports will we see a proliferation of better aid packages in a wider variety of games.